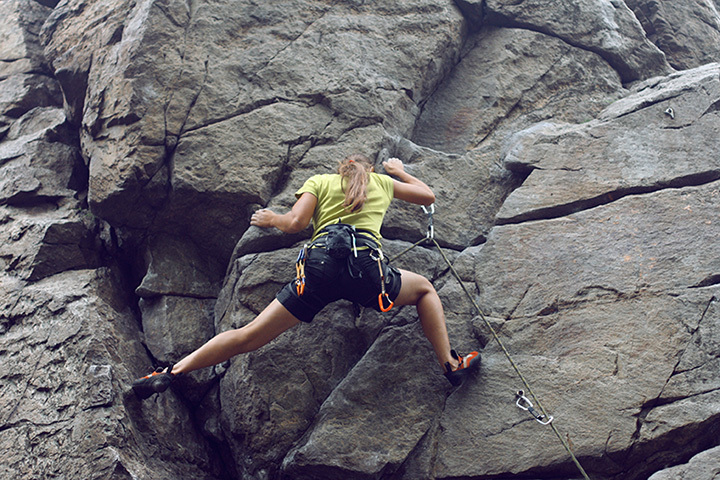 Whether you are already a seasoned climber in need of a training facility or you'd like to be, we offer a variety of terrain to hone skills, learn new techniques and challenge climbers of all skill levels.The gym features 16 ft tall 5, 10 and 15 degree overhanging walls, 14 ft tall 30 degree overhanging wall, a cave with 45, 60 and horizontal roof features/. The cave also has a 14 ft long hand crack that splits and an overhanging arete. There is also a 13 ft tall 'wave' wall for transitional angle training and a mushroom wall to practice mantling and topping out.